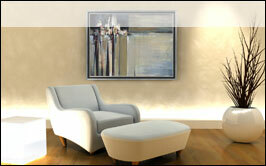 Sleek and fresh contemporary decor can be a comfortable retreat that is perfect for offices, stores, lofts and homes. The uses of line, space and color are pivotal to creating the chic modern look. The artwork in this category will provide the perfect compliment to any palette of color and help accentuate the space and design of your room. Classic, calm, orderly, these are all features of a traditionaly decorated room. Uses of vertical and horizontal lines with gentle curves, floral patterns, and mid-range tones help achieve the relaxed familiar atmosphere that traditional decor affords. 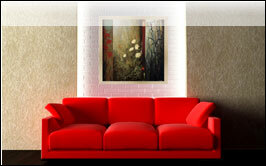 Casual Decor, as the name suggests, is casual and restful in nature. 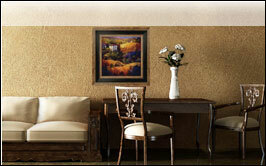 Neutral and Earth Tones are commonly used as well as soft pastels. 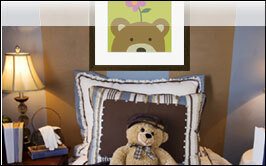 Touches of whimsy are also encouraged in order to add a carefree touch to your space. 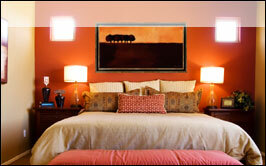 Adding touches of exotic decor can provide a great accent to any room. Vintage travel posters, asian and african art or tropical themes can all add the flair that finishes the look and catches the eye. The children's room is a special place in the home. Theme decorating is of especially good use in this room as you can incorporate the likes and interests of the occupant into the motif.